DENVER, COLO. – June 18, 2013 – (RealEstateRama) — Award-winning national firm KTGY Group, Inc., Architecture + Planning, is pleased to announce that SmithJones Partners, LLC of Denver, a Denver-based apartment development and investment company, has completed construction on Arista Uptown Apartments, a transit-oriented, 272-unit apartment community in Broomfield, Colo., situated equidistant between Denver and Boulder, and adjacent the 1stBANK Center, a 6,500-seat entertainment venue. Located on 6.68 acres at the corner of Arista Place and Uptown Avenue in the heart of the Arista neighborhood, Arista is one of the very few town center developments in the nation anchored by a major entertainment venue. Transit, dining, shopping, parks, entertainment, and the aloft Hotel are all within walking distance of Arista Uptown Apartments. The apartment community’s design represents an updated version of the typical 3-story walk-up and addresses the need for increased density and a more cost-effective design. Entry stoops to ground floor terraces, and steps leading to the stair elements, enable the buildings to be brought close to the sidewalk and the street, creating a greater sense of community. Parking is mainly hidden within the building groupings allowing the buildings to front onto streets, described Ohara. “The unit configurations are wider to allow more light to reach all parts of the unit, but are lower in total square footage to keep rents affordable for today’s Gen Y cost-conscience renter. All of this is designed within the basic platform of the most popular apartment type in the nation, the three-story walk-up, at a density greater than 40 units per acre,” added Sciarra. Arista Uptown Apartments offers 18 studios, 149 one-bedroom and 105 two-bedroom floor plans accented by balconies and terraces to enjoy the surrounding views of the mountain peaks. The well-appointed apartments feature beautiful, high-end contemporary finishes including Quartz countertops, under-mount stainless steel single-bowl kitchen sink, island kitchen with breakfast bar, stainless steel refrigerator with in-door ice and water dispenser, modern dropped lighting over island, built-in wine rack, large windows, walk-in closets, in-unit front-load full-size washer and dryers, and tuck-under garages. Arista Uptown Apartments’ community amenities include a 4,442-square-foot ground-floor community clubhouse with a fitness center, indoor-outdoor lounge, espresso bar with iMac stations, plus an 11,000-square-foot courtyard with an outdoor resort-style pool and spa with private cabanas, barbecue grills, and a 1.5-acre private lawn that includes a 1,900-square-foot “Central Dog Park,” a fenced-in off-leash dog area. The community also feature a dog and bike wash station. “The new community includes eight 3-story buildings with efficient units averaging in the low 700-square-foot range, keeping the price point affordable, while still offering residents a modern blend of urban living centered on a vibrant mixed-use, entertainment-anchored lifestyle that the Arista neighborhood provides,” said Sciarra. “Arista Uptown caters to young professionals, singles, couples and roommates, who commute to work or school and prefer an urban, hotel-style environment in an amenity-rich, walkable neighborhood. Arista Uptown’s enriched amenities package adds to KTGY’s dynamic, trend-targeted design. Arista Uptown Apartment community will also help meet the growing apartment demand in Arista and along the busy U.S. 36 corridor,” Sciarra added. For leasing information, see www.aristauptown.com. 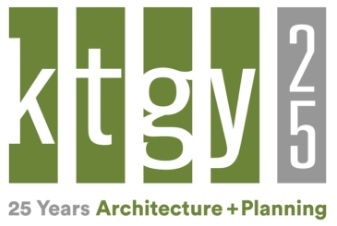 Celebrating 21 years, KTGY Group, Inc., Architecture and Planning, is a national award-winning firm providing comprehensive planning and award-winning architectural design services for residential communities, retail, hospitality, mixed-use and related specialty developments. KTGY delivers innovative solutions that reflect clear understanding of development, market trends and financial performance. Serving clients worldwide, KTGY maintains offices in Irvine, Oakland and Santa Monica, Calif., Denver, Colo., and Tysons, Va. See www.KTGY.com. DENVER, COLO. - June 18, 2013 - (RealEstateRama) -- Award-winning national firm KTGY Group, Inc., Architecture + Planning, is pleased to announce that SmithJones Partners, LLC of Denver, a Denver-based apartment development and investment company, has completed construction on Arista Uptown Apartments, a transit-oriented, 272-unit apartment community in Broomfield, Colo., situated equidistant between Denver and Boulder, and adjacent the 1stBANK Center, a 6,500-seat entertainment venue. Located on 6.68 acres at the corner of Arista Place and Uptown Avenue in the heart of the Arista neighborhood, Arista is one of the very few town center developments in the nation anchored by a major entertainment venue. 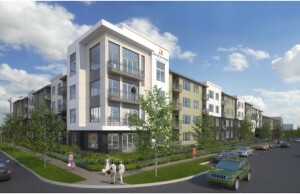 International award-winning KTGY Architecture + Planning announced today that Avenida Partners, LLC has begun construction of a new 230-unit service-enriched rental community for active adults age 55 and better in the metro Denver. Avenida Lakewood is located just six miles from downtown Denver and in the heart of Lakewood at the corner of Colfax Avenue and Owens Street.